Chris Pattillo, FASLA and PGAdesign founder has contributed to two published essays featuring the story of pioneer landscape architects from the Bay Area, Mai and David Arbegast. David was formative in Chris Pattillo’s career writing a letter of recommendation for her to pursue graduate studies in Landscape Architecture at UC Berkeley. 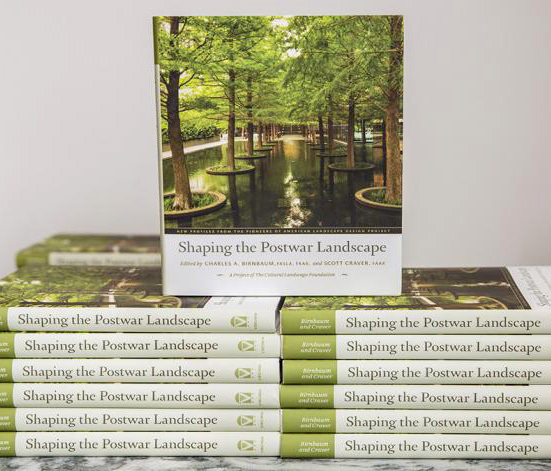 The biographies are featured in The Cultural Landscape Foundation’s newly published Shaping the Postwar Landscape: New Profiles from the Pioneers of American Landscape Design Project, edited by Charles A. Birnbaum and Scott Craver. The book profiles the lives of 72 important figures, including landscape architects, architects, planners, artists, horticulturists, and educators.